Birthdays, Anniversaries, Christmas, a New Baby – whatever the occasion there’s always a good reason for giving a gift voucher. The perfect gift: available in a range of denominations. These gift vouchers are quick & easy to order, can be personalised and are are available to send by post. Simply select the amount from the list below, and click ‘Purchase’ to order your gift card. Each Gift Voucher carries a monetary balance that can be used to purchase treatments at The Beauty Rooms. Gift Cards are valid for any treatments offered by The Beauty Rooms. They can be used as full or part payment for all purchasable treatments, but cannot be used to purchase more Gift Vouchers. If your treatment costs more than the value of the Gift Voucher, you can pay the additional amount at your appointment. Similarly, if you don’t want to spend the whole gift at once, the remaining balance will stay on your Gift Voucher. Contact The Beauty Rooms via phone, e-mail or Facebook messenger to book your appointment and bring your Gift Voucher with you on the day of your appointment. Your Gift Voucher will remain valid for six months after the date of purchase. The expiry date will be noted on the Gift Voucher itself. When will my Gift Voucher arrive? Gift Vouchers are sent 1st Class via Royal Mail. This means that your postal order should be delivered within 2-3 working days (excluding weekends and Bank Holidays). For Gift Voucher purchases above £150 in value, we will send via Royal Mail Special Delivery Guaranteed by 1pm™ as long as your order is placed before noon (excluding weekends and Bank Holidays). 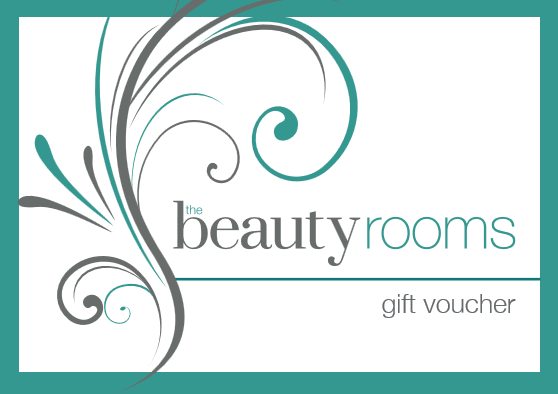 Alternatively, Gift Vouchers can be held for you to collect in person from The Beauty Rooms.